After more than six months of very hard word and long hours, publisher Petr Palan of Fast Track Magazines and Editor-in-Chief Knox Bronson of P1xels at an Exhibition achieved in making a dream a reality and so I am very pleased to announce the monthly eMagazine for mobile photographers, iPhotographer Magazine Preview Issue, which by the way is free, has finally been released and made available at iTunes. 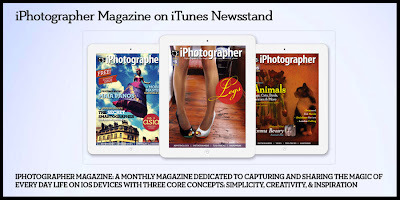 This mobile eMagazine is geared towards every kind of mobile photography level and enthusiasm, sharing creativity, inspiration and a good large dosage of fun. 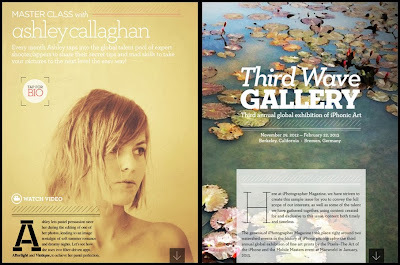 This beautifully designed, interactive multi-media eMagazine is filled with articles, reviews, demonstrations and so much more, from notable iPhoneographers as Jack Hollingsworth, Natali Provetova, Lanie Heller, Elaina Wilcox, Ashley Callaghan, Rudy Vogel, Knox Bronson, and many, many more to list here. 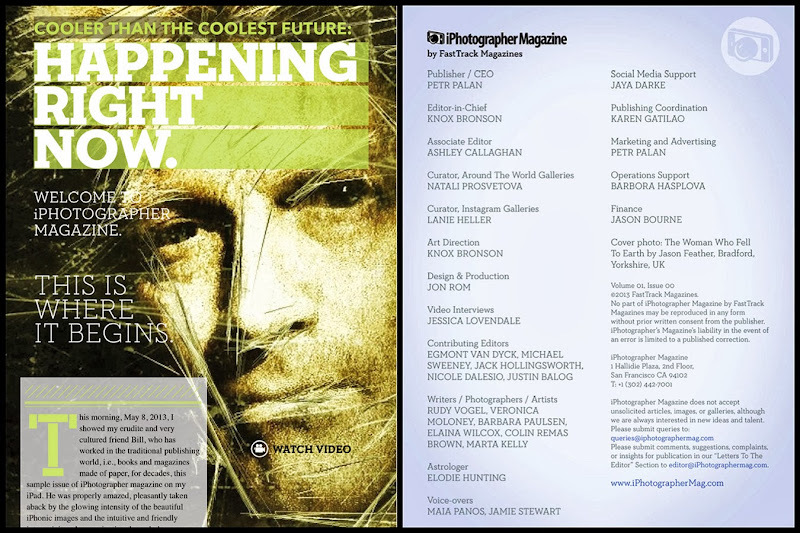 I am proud to be also affiliated with iPhotographer Magazine as a contributing editor with my own column, Egmont’s Process Page. My column is all about how to become a bold and fearless photographer, building confidence with tools from ‘How to think - How to see,’ and what are some of the best applications or camera settings in capturing that precious moment. Forthcoming issues will feature great stories, all of which will be exciting, educational and entertaining, and fun. There will be plenty of the latest tips and tricks, the newest tools, hardware and applications, in capturing on you mobile unit what you catch a glimpse of. 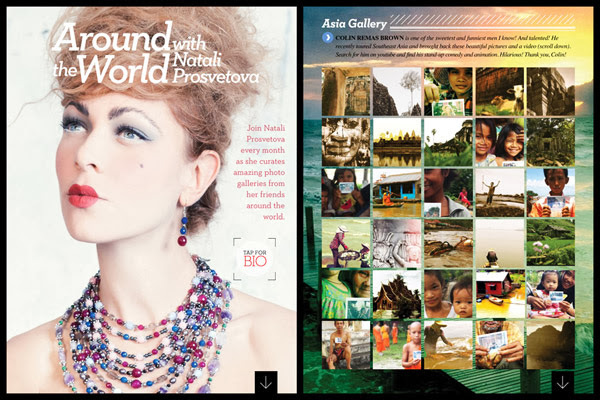 Obtain your free Preview Issue and see the treasures to be discovered within. While it is only ⅓ of a regular issue, there is plenty great content. 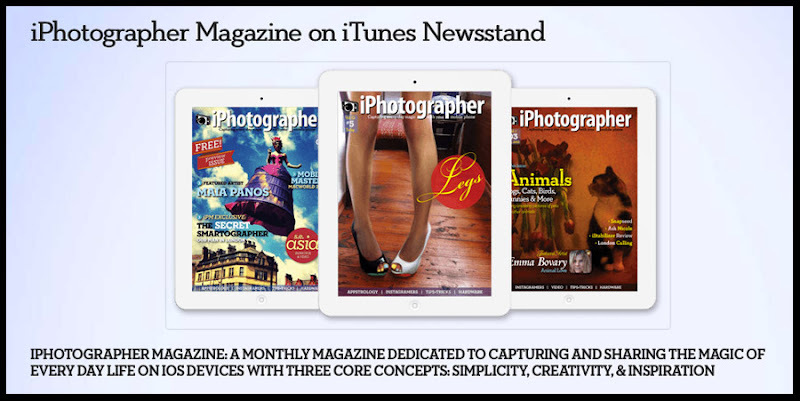 Future publications will be available at the Apple Newsstand at $3.99 US Dollar per month. Right now you can order an annual subscription for $18.99, a 60% saving off the cover price.